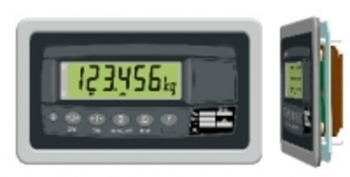 The PT200 Series digital weight indicators offer high levels of performance and functionality by combining all the very latest advances in weighing technology into one compact package. A powerful 24 bit Sigma-Delta A/D converter ensures fast and accurate weight readings are attained. The four layer, surface mount PCB offers low power consumption and extreme durability under harsh operating conditions. Comprehensive setup and calibration functions are displayed in plain text for clear understanding by the installer. The software auto-detects the type of power input (plug-pack or internal batteries) and alters the power saving functions accordingly.